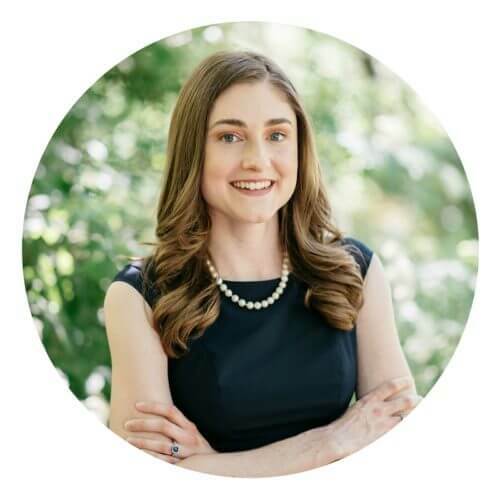 Are you teaching writing in Spanish? If so, and you work with kindergarten, 1st, or 2nd grade students, I’ve got a BIG freebie for you! 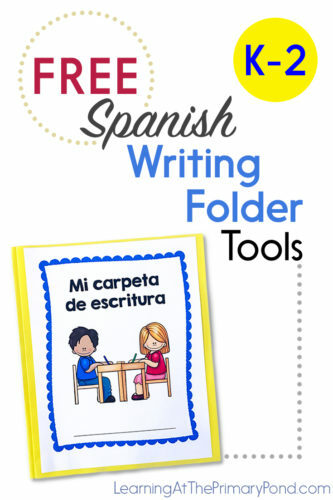 In this blog post, I explain how I use my Spanish writing folder tools to help my students become more independent writers. Keep reading to get all of these materials for FREE! When students write stories or make books within a notebook, there’s no clearly defined beginning and end. 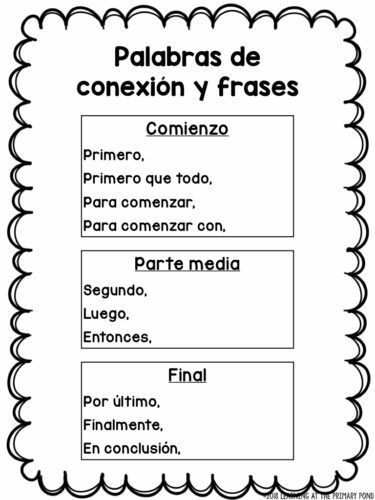 Primary students can easily lose track of where their book starts and stops! I give my students pre-stapled booklets of lined writing paper, and they keep these in their writing folders. If students need to add in a page or rearrange pages, that’s hard to do with a notebook. Using the stapled booklets allows us to add on more pages or rearrange the pages if necessary. The stapled booklets more closely resemble the books students are reading. I emphasize that students are authors, so it makes sense for them to create things that look like real books. 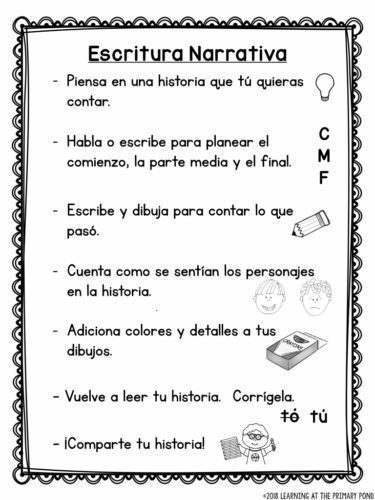 When students use booklets and folders, they can take home certain pieces of writing to share with family members. This isn’t the case with writing notebooks—we risk losing the entire notebook if something happens to it at home. What type of folder is best? I purchase plastic or sturdy cardboard folders. I want them to last. 🙂 I also usually buy them all in one color, so that students don’t confuse this folder with any other folders they may have. I also make sure to purchase folders with prongs in the middle. You’ll see why this is important in a minute! Inside the folder, you’ll notice that I place two stickers: a red dot, and a green dot. The “red dot” side is for work that’s finished. The “green dot” side is for work that is still in progress. This system helps students keep their folders organized! What goes inside the folder? In the middle of the folder, I place different tools that students can use while they’re writing. These supports encourage students to work more independently! 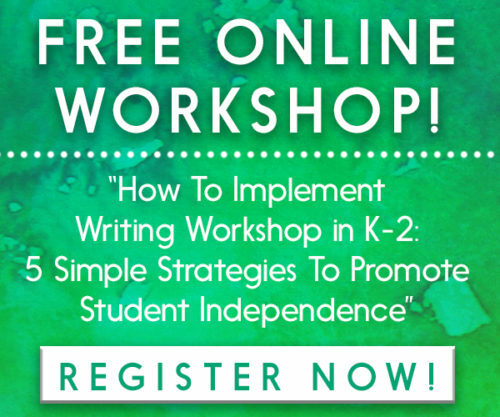 There are a few other things in the writing folder freebie for you, because I know that different grade levels and different types of writing require different tools! How do you introduce the writing folder tools? When we start the school year, I don’t include ANY of these tools in their folders. Students likely wouldn’t know what to do with them! 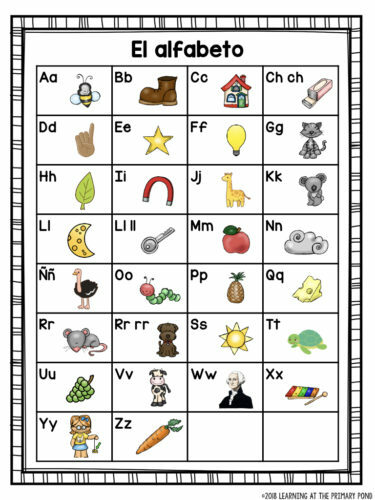 The first tool I typically introduce is an alphabet chart. I use it to show my students how I stretch out words and write them phonetically. 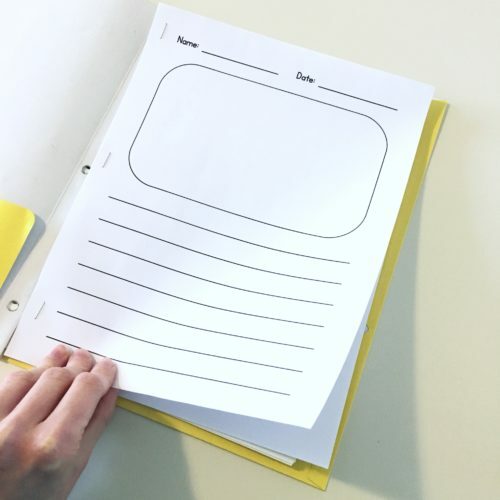 After the kids are able to help me use the chart in a whole group setting, I then place it inside their folders so that they can use it as they write. As time goes on, I add other tools. I also sometimes remove tools that students no longer need. Where can I get these writing folder tools? I have these tools (and more!) for you for FREE! Click on the image below to sign up for them! 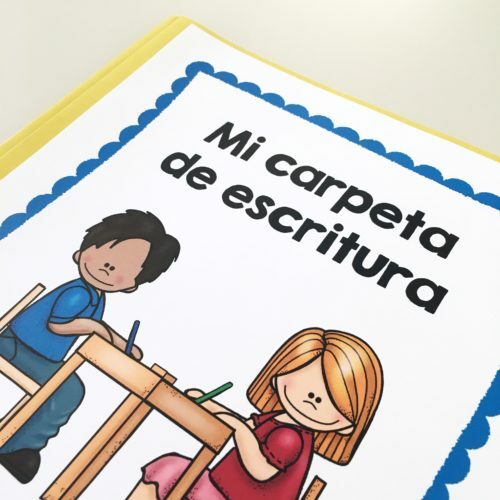 Do you have more resources for teaching writing in Spanish? 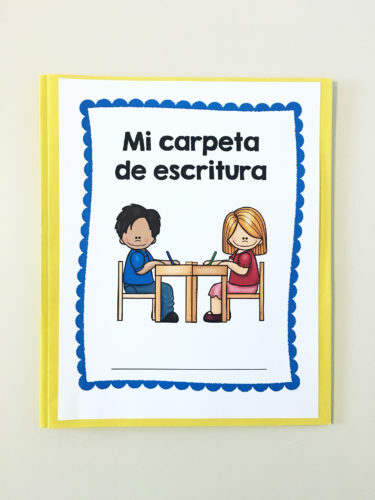 And I now have my kindergarten, first grade, and second grade writing units available in SPANISH! I love this folder! I teacher kindergarten and about half my students are ELL. 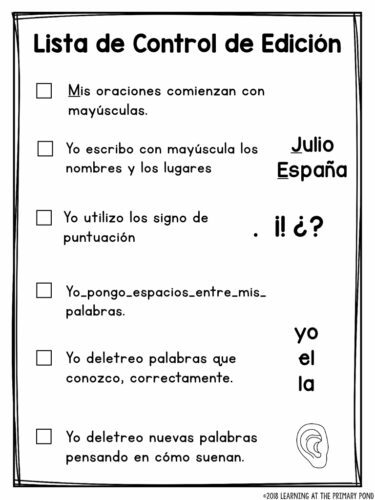 I like to give my students the resources in both English and Spanish. Do you have the English version of the writing folder? Your resources are great! I was wondering, if you use plastic folders for your writing, how do you attach the cover sheet so that it’s not falling off? Is the cover included with your freebie resources?